Spring is in full swing and while nature is taking all her strength to show up in all its glory, we feel the need to dress up our interiors more than ever. 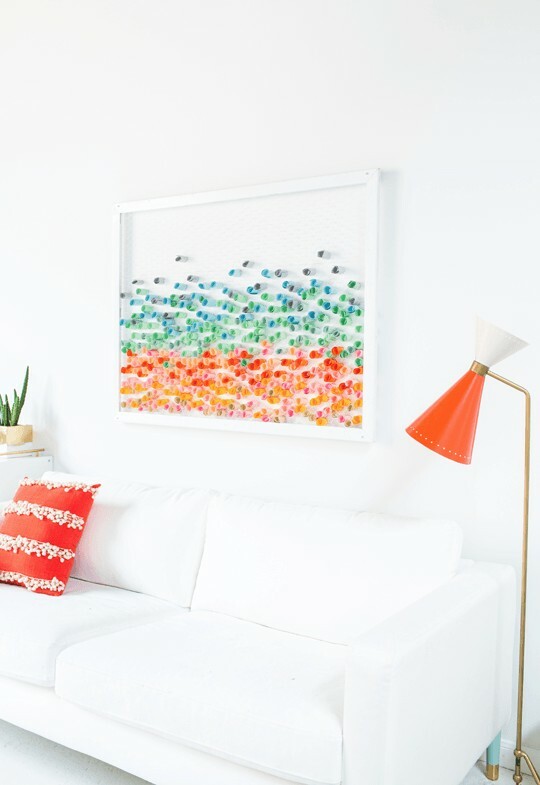 So, today we’d like to show you a quick and easy way to create an absolutely original and bright piece of wall décor that will bring a note of spring and freshness to your home. So, let’s begin! 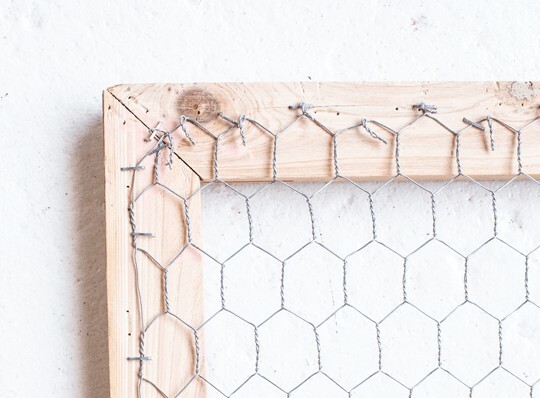 For a start use a staple gun to fix the metal net to the back of the wooden frame. Make sure it’s pretty tight. Get rid of excessive wire with the help of wire cutters. Then spray paint the entire construction white and let it dry off completely. Meanwhile you can mark 4 points on the wall where the mounting screw holes will be. 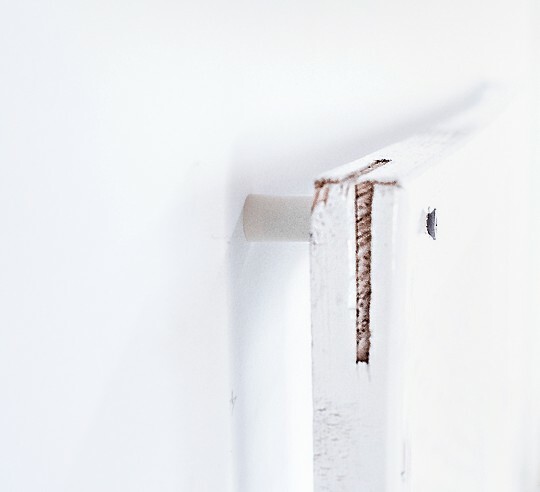 Use a drill and screws to hang the picture. Such a picture shouldn’t be too close to the wall, so use the plastic spacers. Now it’s time for the paper part of the job. 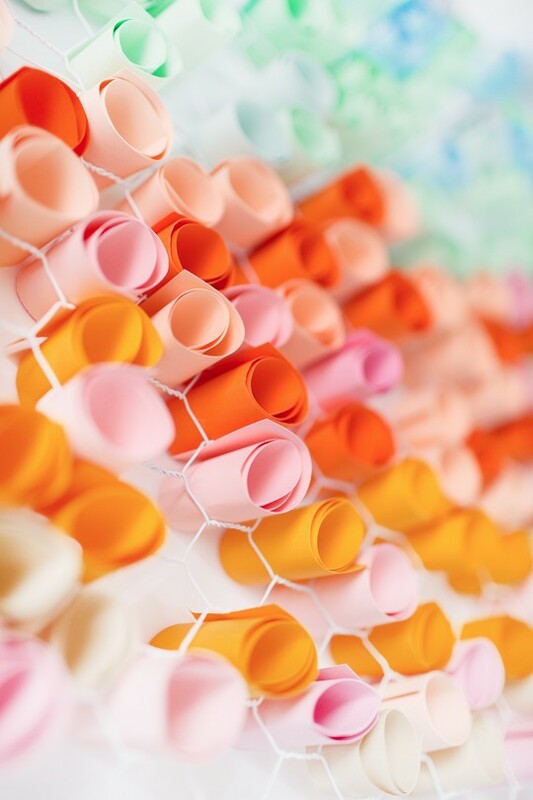 Cut colored paper into 5cmx20cm pieces, roll up and insert them into the hexagonal holes of the net. Try different colors and patterns. You may have your heart set upon ombre effect, rainbow colors or just a mixture of your favorite shades. Anyway, eventually you will get an absolutely exclusive, one-of-a-kind piece of wall art that will become the spice of your interior. Interested in hand-made wall art? 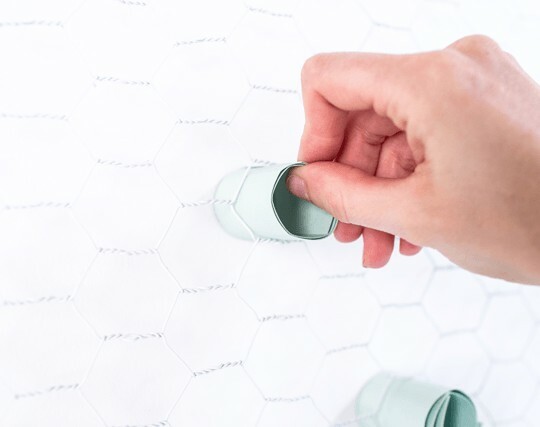 Then you will find our earlier post about handmade hexagonal wall art interesting!